Reigning champion Roger Federer touched down in Halle following a quick trip home to Switzerland optimistic of holding the trophy aloft for a ninth time on Sunday. Hoping to reignite his injury-hampered season on the grass, the Swiss maestro returned to the tour at the Mercedes Cup in Stuttgart, reaching the semi-finals. A back complaint had ruled the 17-time Grand Slam champion out of the running at Roland Garros, but Federer feels the matches he got under his belt last week have managed to scrape away the “rust” from his game. 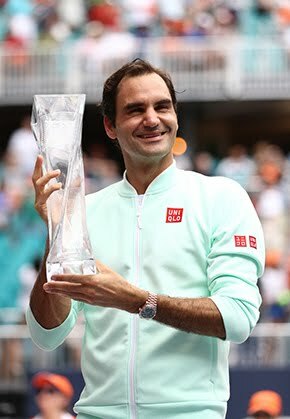 “I’m very happy to be back here, in a tournament where I’ve been coming for so, so long, seeing the progress over the years,” said the eight-time champion. The top seed, searching for a fourth consecutive Halle title, managed to prevail in a three sets against rising star Taylor Fritz, and dispatched Florian Mayer before the in-form Austrian Dominic Thiem sent the 34-year-old packing in another turbulent three-set contest. “I think I’m quite fortunate to have an extra week on grass. It comes definitely at the right time for me. It has given me a chance to feel a bit better, to shake off some of the rust,” revealed Federer. Federer opens his title defence on Wednesday against German wildcard Jan-Lennard Struff, while Stuttgart champion Thiem will also have Tuesday off due to his rain delayed showdown with Philipp Kohlschreiber. 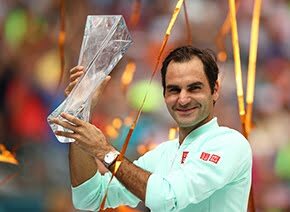 Targeting another Wimbledon crown to add to his current haul of seven, Federer is adamant that grass is the ideal surface for him to accelerate towards top form. “I would think that everything comes more naturally on the grass. It was important in Stuttgart to play breakers and set points and match points, to get my body ready for that. Federer said his back continues to feel better, and he's glad to have another week of grass-court tennis ahead of him. “It's much better. I served normally last week, served a lot of aces and also quite a few into the net because I haven’t found my rhythm yet. But at the end it was quite good. I was happy,” Federer said of his back.